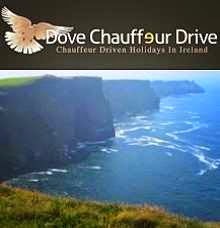 Yesterday, Friday, we spent on the famous Ring of Kerry, a journey around the Iveragh Peninsula in Kerry. As you can see from the photos here, the day was really nice and sunny. 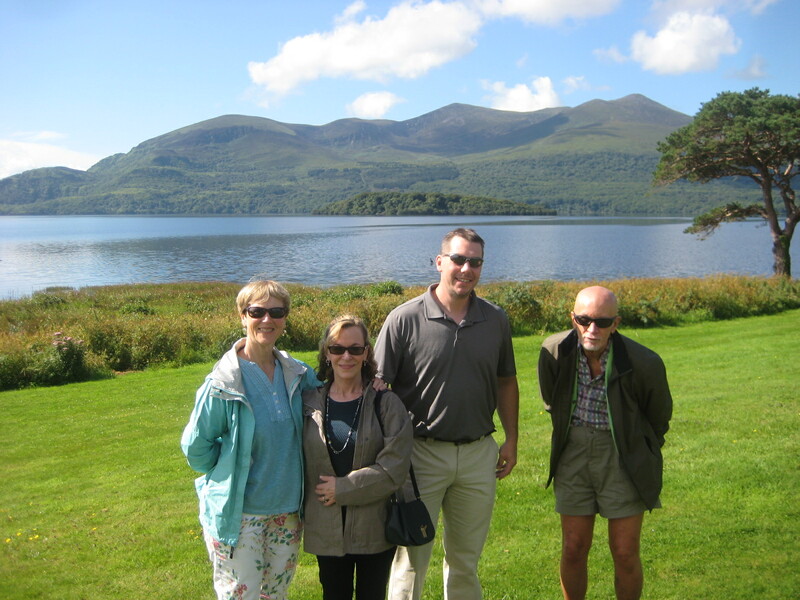 We started out in Killarney and here we have my full party with the lovely Lough Leane in the background. 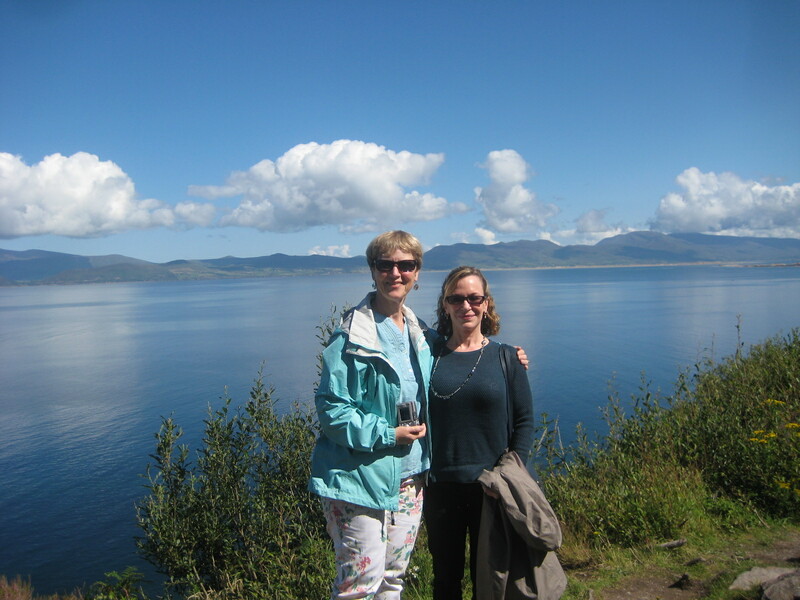 Our journey took us along the northern side of the peninsula,and here we have Lynn and Cindy, with Dingle bay,and the Dingle peninsula, in the background. 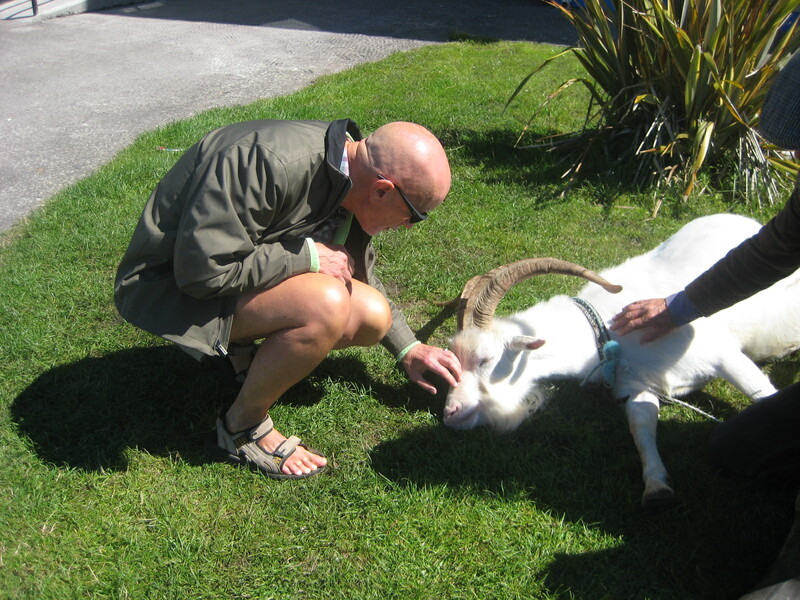 Our next stop was in Waterville, at the tip of the peninsula, where we came across a man called John with his goat, aptly named Billy. Barry is seen here, fondling Billy's nose. 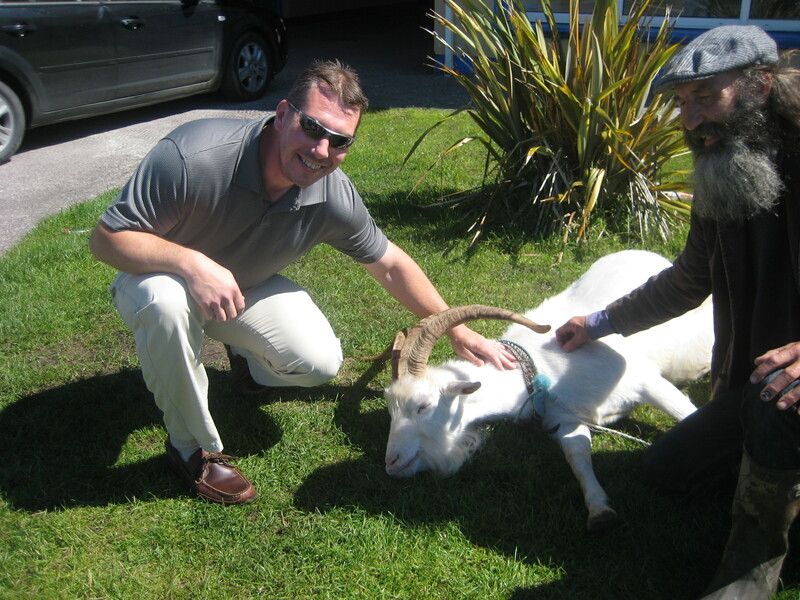 Rich also took his turn, and luckily enough, Billy was a gentle goat. 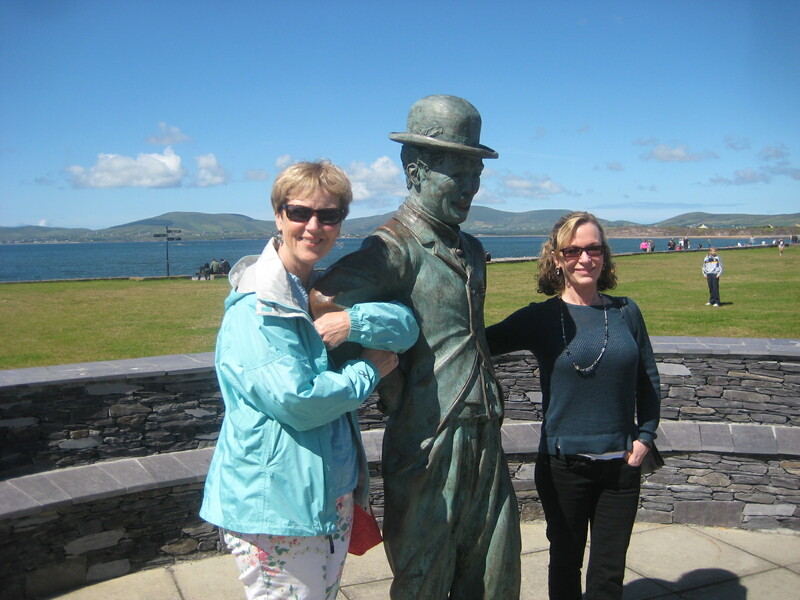 Waterville was a favourite holiday resort of Charlie Chaplin's, and this memorial was erected in memory of this very famous personality. 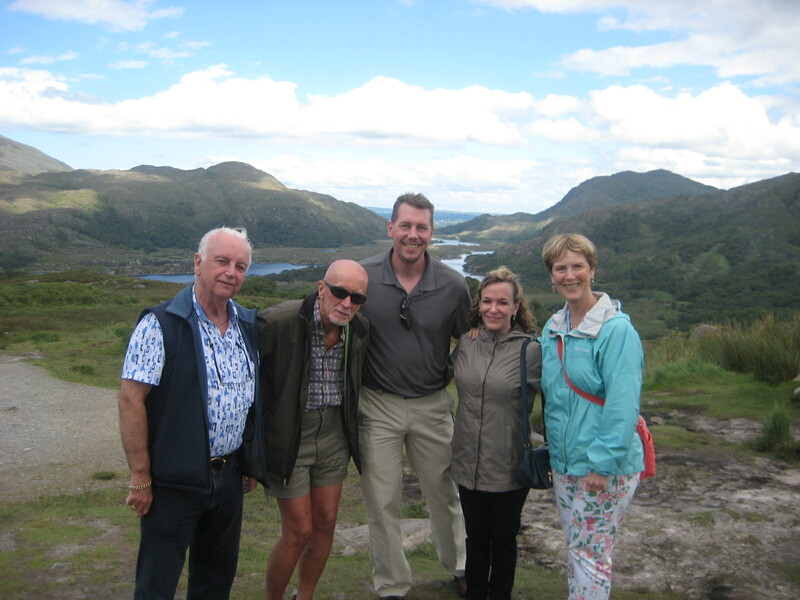 Ladies View, on the Ring of Kerry, is famous for its association with Queen Victoria, who during her visit to Killarney, proclaimed it to be the most beautiful view in the Kingdom. Here we all got into the act together, with the lovely lakes of Killarney in the background.